As I was browsing my travel series for Palawan, I realized that I forgot to blog this first hand experience. Call it as a shallow achievement but it took me years to finally experience and learn how to kayak. My first taste of kayaking happened on our second day in Palawan. While everyone was waiting for breakfast to be served, the boss was asking for kayak companions. It was another male colleague who joined him first. All the while, I thought I was already relieved. Minutes later, my colleague passed to me the huge and heavy paddle. I don't want to be the biggest KJ (killed joy) in this expensive and probably, once in a lifetime trip. Hence, I dipped in the cold waters of Kubo sa Dagat and there, the photo above made it. Of my short lived kayaking experience, here are a few reasons why I learned to love it. 1. I discovered an alternative for swimming. To begin with, I never had formal swimming lessons. In effect, I'm always afraid to move away from the shore. I don't swim in areas that my feet can't reach. When I learned how to kayak, I discovered another way to reach the middle of the sea. I don't have to exhaust my lungs for the breathing techniques I never learned. 2. I can reach places. If I will rely to my self-learned swimming skill, it would take me a lifetime to move away from the shore. Kayaking offered me a faster and better alternative to experience the sea. 3. It's a great form of exercise. I've been wishing for an exercise that wouldn't make me feel that I'm torturing myself. Kayaking gave me this opportunity. As I paddle my way to reach places, my upper extremities received it much needed exercise. The continuous paddling made my arms feel tired once in a while, but I was surprised of my fast recovery. And of the few days I ventured to kayaking, here are some things I learned. 2. Choose the still water. Beginners like me are encouraged to start their kayaking adventures in still water. It supports stability and removes your fear of losing your balance. 3. Being able to balance your body is one of keys to a successful kayak adventure. Though balancing in a kayak is not as demanding as riding a bike. I have to say that because I never learned to bike. Hence, balancing my body against another sporting equipment was never in my vocabulary. Surprisingly, my kayak adventure didn't require me to achieve that perfectly balanced sitting stance. Sitting up straight, having stretched and relaxed legs, leaving body weight from the waist to hips and leaning against the seat are the key points in finding your balance. 4. Paddles and direction are inversely related. If your direction is leaning to the right, paddle from your left side. A forward movement means that paddle should move backward and vice versa. 6. The most important requirement, NEVER PANIC! Relax and enjoy the scenery. In case you feel that you will soon lose grip and balance, remember that you have your life vest. Today is the last Sunday of April. As always, time flies so fast again. I remember welcoming 2013, I was begging for March to come and lately, I was looking forward to my teaching break. Two more days, it will be the month of May already. Soon, the summer teaching break is over. I have apprehensions posting this. 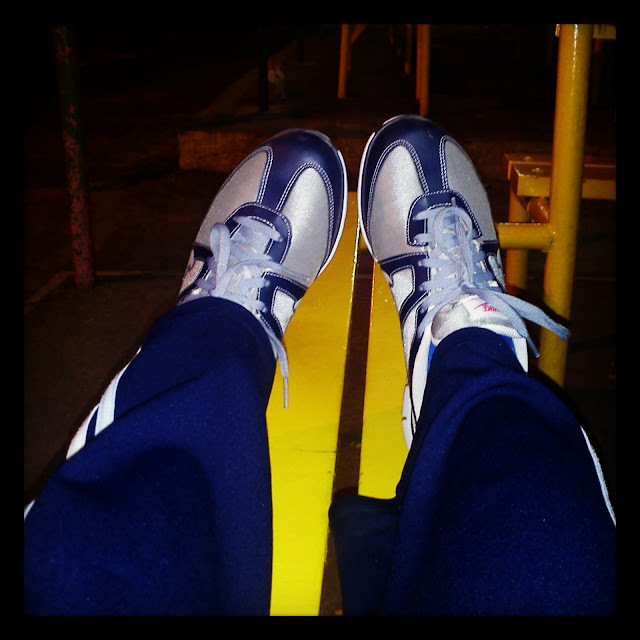 Whenever I wear my lone pair of running shoes and jogging pants, it only means that I'm back to the only fitness activity I can manage. I have apprehensions mentioning this because the last time I declared that I was jogging again, I stopped the activity the week after. Blame everything on my lame laziness. I don't want to get up early and all I wanted is to sleep. However, my trip to Palawan slapped me with additional lines in the weighing scale. I felt pathetically dark and fat. :( I pressured myself so I took advantage of my three consecutive rest days. It worked because I lost three lines in the scale. This weekend however, I'm challenged to make things happen again. Can you switch places with money? Why can't you be hard to gain and easy to lose? I discovered this product at the workplace. Since our school offers courses in Hotel and Restaurant management, we maintain a cafe that offers these treats. I think my Boss should give me more assignments so that I could avoid these temptations. 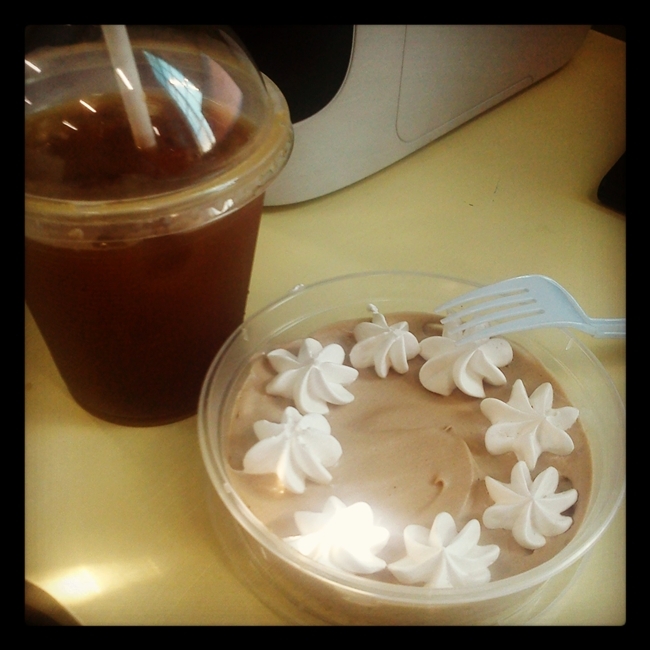 A long day at work is best ended with one of my comfort foods. Halo Halo is a famous Filipino dessert that combines evaporated milk, shaved ice, and local Filipino delicacies such as sweet beans, gulaman (jellies), nata de coco, slices of langka (jackfruit), roasted rice puffs, leche flan (creme caramel) and topped with ice cream. I may not be the biggest fan of Halo Halo but I super love Mochi Balls. Hence, I decided to give it a try. I felt I was deceived. 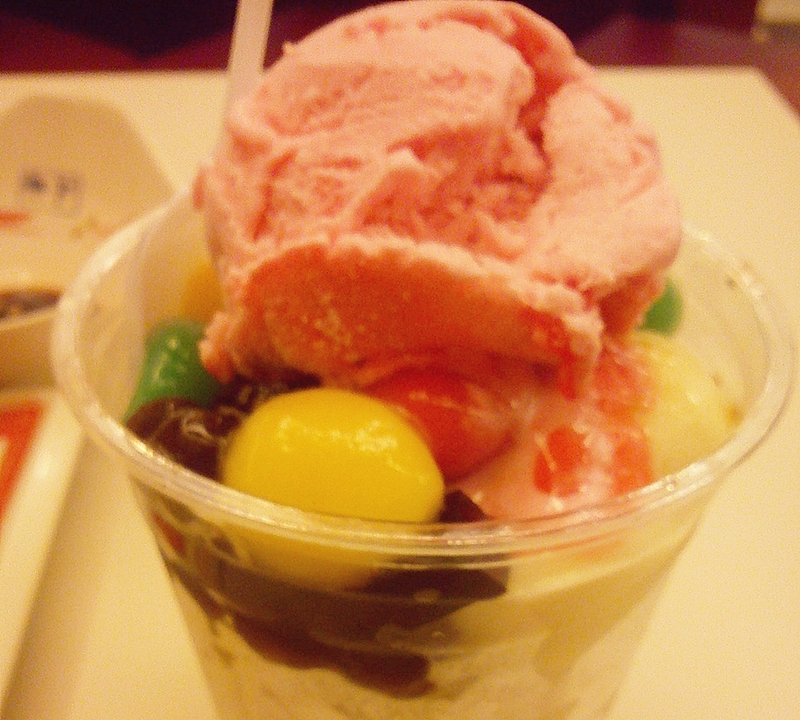 :( The Halo Halo was fine except for the Mochi Balls. 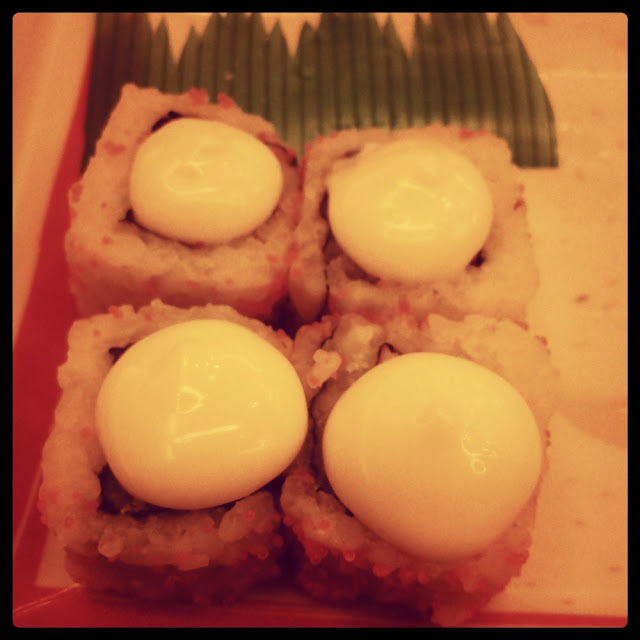 As far as I know, Mochi balls should be made from ice cream enclosed in a dough of glutinous rice. The Mochi Balls are simply rolls of glutinous rice. It doesn't have the ice cream filling I'm expecting. 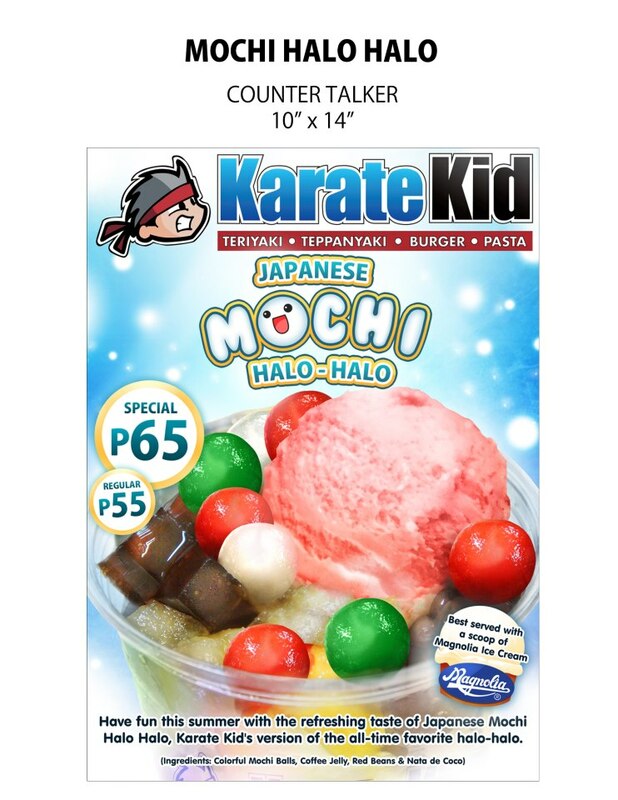 But just to cool off the summer heat, Karate Kid's innovated Halo Halo can surpass. I indulged myself in my favorite hobby this week, shopping!!! I'm trying non-fiction this time. Anyone who made reviews for the two books? Another major purchase this week is the turbo fan to beat the summer heat. 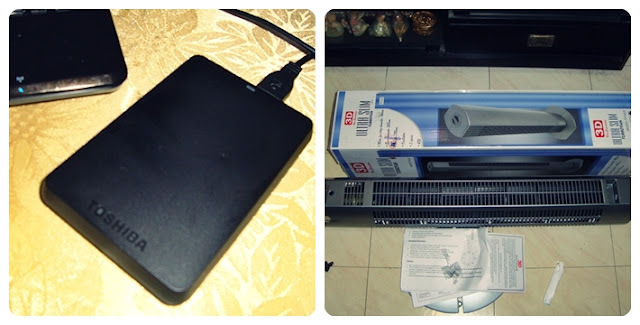 My decades old electric fan finally gave up. haha This sleek air cooler perfectly fits my small space. I mentioned in one of my Beautiful Sunday series that I've been hooked to this Korean drama series. It was shown locally but I wasn't able to catch up since it's aired during my working hours. I watched it in DVD as soon as I arrive home from work. After so many nights, I'm finally done with the 20 episodes. 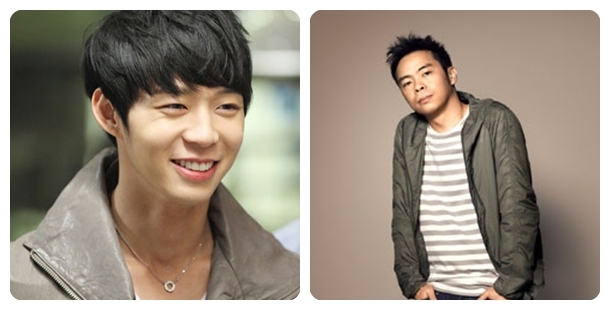 Rooftop Prince relates a story of reincarnation. Prince Lee Gak ,who lives 300 years ago, was desperate to trace the person who took away the life of his wife, Crown Princess Hong Hwa-yong. In his quest to find the truth, he was transported to the current time period. Prince Lee Gak and his side kicks landed in the attic or rooftop of Park Ha. This started the adventures of Lee Gak who will eventually fall in love with Park Ha. As for the angle of reincarnation, Prince Lee Gak will later discover that he was reincarnated as Yong Tae-yong, an heir of a wealthy family but is currently in the state of coma. In the course of the drama series, Lee Gak will discover more people who were reincarnated.This is will eventually made him discover the real cause of the Crown Princess' death. More than my shallow and cheesy romantic hormones, I also appreciate the strong family ties that is often emphasized in most Korean drama series. I guess like Filipinos, Koreans are so attached to their families. The lead female character, Park Ha was an adopted daughter. 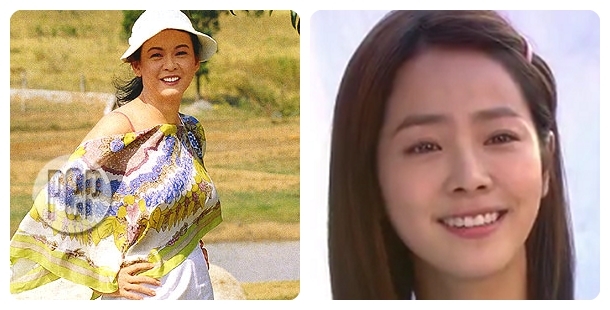 I appreciate those few dialogues of Park Ha and her adoptive mother. They never had those powerful and compelling mother-daughter conversation. However, the scene where Park Ha and her adoptive mother has to part ways after an unlikely mother-daughter drinking session almost made me cry. Aside from the story, here are some weird observations I made from the drama series. I'm struggling to write a review for this book. I guess it's because I can't clearly decide whether I like or dislike it. One thing I'd like to say is that contrary to most expectations, THIS IS NOT A HORROR story. It's nearer to suspense and mystery. The book's title gave me the impression that it's Miss Peregrine who serves as the lead character. Surprisingly, a teenage kid named Jacob was responsible for fueling the entire story. Jacob has been fascinated by the stories of his grandfather. His grandfather has been showing him pictures of the peculiar children and all the stories attached to it. Jacob soon developed doubts about his Grandfather's stories. His life further became complicated when his Grandfather's life ended in a mysterious death. Unfortunately, Jacob's quest to find answers made him worst in the eyes of his family. He was accussed of becoming mentally ill. In the course of his treatment, Jacob was allowed to set off to an island that his Grandfather was referring. He was bound to find Miss Peregrine and all the peculiar children that he used to see in pictures. Plot and story wise, I'd like to give Ransom Riggs 3.5 out of 5 stars. More than the interesting storyline, I feel that it's the suspense and mystery that drew my interest. It's the questions that are waiting to be answered that made me held on to this book. Each chapter yielded chain reactions that created more attachment to the readers. I'm not sure if it's true but I read somewhere that the original plan was for Riggs to release a photo book. Since he acquired vintage photos from everywhere, he was set to showcase his collection. However, Riggs was later encouraged to write stories about each photo. Soon, Riggs was already writing a literary piece. If this is really true, I'd like to render my hats off to Riggs. He was able to weave a literary piece from pictures that don't belong to each other. As for character development, this is another angle that makes me undecided. I don't have apprehensions about Jacob's development. As more answers and mysteries are unfolded, Jacob's character transformed and strengthened. My apprehensions are contained on issues that I wished were explained. I was hoping that Riggs could explain the origins of each peculiar children and Miss Peregrine. How did they become peculiar? Why is it that some kids ended up peculiar in the story's point of view? My unresolved sentiments further intensified when I discovered the story's ending. I felt like I was dragged in the sea of uncertainty. The ending gave me another open ended question. So what will happen next? Though after reading some interviews from Riggs, I have a feeling that the book will have a sequel. Overall, I would give this book 3 out of 5 stars. If you prefer a lighter dose of suspense and mystery, then this book is for you. On our last day in Palawan, we were off to our last island hopping adventure. I told you, Palawan never runs out of islands to be experienced. We left Kubo sa Dagat early in the morning and docked off towards the main road. We traveled by land for more than an hour. It was almost a smooth sailing ride except for the humps and bumps along the road. There were roads waiting to be developed. I hope the local government of Palawan will do their share. Palawan is to beautiful to be tainted by poor infrastructures. After a not-so-smooth land travel, we took the final boat to our destination. According to our tourist guide, this docking site was built by the management of the high-end Club Paradise Resort. However, tourists and other local boatmen also benefited from this initiative. This became our entry point to our last island adventure. I just have to say that I love this dock off point. I love the uneven wooden bridge, the small boats, the atmosphere of the refreshing water and the view of the greeneries. It would have been nicer if I had my photo taken in this site. This is another part of the dock site. I believe that the white metal bar holds the rope of the docked boats. My weird imagination tells me that the metal bar could have been nicer if it became a fake mailbox or a bird's house. If I will build my own vacation house, I wanted my backyard to have the same scenery. The journey to our last destination was already a treat. We were mesmerized by the Decalachao River (Mangrove River). The trees in the background form the unending mangroves of the Decalachao River. If only my camera has excellent zooming capacity, you will really appreciate the abundance of mangroves. The entire trip became a showcase of what seems to be an infinity of mangroves. According to some of my colleagues, the stretch of mangroves in this area is longer than Bohol's Loboc River. I haven't been to Bohol so I can't really tell. In the future, let's hope that I will be given the chance to see and compare with Bohol. We landed to our last destination after a 30-minute boat ride. It still managed to have the perfect crystal clear water of Palawan. I can perfectly see my feet. I didn't swim this time because my face is already aching from all the sunburns. We stayed in this area until lunch time. My colleagues wanted to stay longer and spent the entire afternoon swimming. Unfortunately, the area was flooded with small jellyfishes. We don't want to risk anything so we left the place so early. Most of us opted to kayak to avoid possible injuries from the jellyfishes. If you are staying at Kubo sa Dagat, this island is automatically a part of their island hopping tour. Unlike the Banol Beach, this area provides a two-storey house equipped with electricity, water supply, shower room, toilet cubicles, dining area and bedrooms. So even though you don't have intentions of swimming, you can still enjoy the place. Since I work for a Catholic institution, we were required to attend the regular Sunday mass. Our company President who happens to be a priest officiated a Holy Mass in this beautiful chapel. Some bloggers identified this as the Malbato Church. Some mentioned that it's St. Vincent Ferrer Chapel. What I know for sure is that the Reyes Family, the same family who owns Kubo sa Dagat, built this chapel for the residents. The chapel's altar is made of locally produced materials. Despite the allergies, costs and all those tedious preparations, my Palawan experience was all worth it. If given the chance, I will surely come back in the near future. Till my next travel adventure! I now officially consider Palawan as one of the best places I've been. If given the chance to repeat the entire experience, I'll definitely say yes even with the threats of allergies. Palawan is just so beautiful to be missed out. As mentioned in my previous post, Palawan is comprised of different beautiful islands. So obviously, the best activity in Palawan is island hopping! My second day in Palawan was literally spent in the sea and a few islands. Here are some pictures that showcase my entire island hopping experience. A piece of reminder though, it is within this area that I felt something stinging on my legs. Just be observant and ask your guide to which area is best to swim and snorkel. Our main destination is the Kayangan Lake. We were transported by Kubo sa Dagat's reliable motorboat. This was what welcomed us to Kayangan Lake. Who could not appreciate this piece of beauty on earth? I love the experience when our boat have to cross between each rock formation..
An entire stay in Coron Palawan will never be complete without an aerial shot of the Kayangan Lake. By all means, ensure that you have a photo in this site if you have intentions of visiting Palawan. However, you have to exert some minor climbing to reach this area. So before the trip, be sure that your legs are prepared and well exercised. A little warning though, some parts have rock formations that might scratch or bump your legs. They are usually found in the shallow areas together with some underwater plants, which I believed caused my minor allergies. Amidst the towering rock formations, I saw a cave as we hike the swimming area. I didn't bother to get inside but even the rock formations inside reflect the magnificent works of nature. After our short swim at the Kayangan Lake, we headed back to our motorboat for lunch. Our tour guide brought us to the Banol Beach. On the way for lunch, I was really mesmerized by the crystal clear waters of Palawan. There's no way you can experience this in the city. You can see the surface of the water. Priceless! I really hope that this gets preserved and protected. We had our lunch in this small kubo (nipa hut). This is Palawan's Twin Lagoon! The perfect rock formation is the first thing that will amaze anyone. However, the real thrill of the Twin Lagoon is a hollow area, where you can swim beneath the towering rock formations. If you have surpassed the lagoon, you will end up seeing the opposite side of this rock formation. The water in the opposite side is said to have a cooler temperature that is very ideal for a summer swim. Unfortunately, we failed to try the challenge of swimming inside the lagoon. We came in late and the area was already exhibiting high tide. As an alternative though, you can use the improvised wooden ladder to reach the opposite side of the lagoon.You can see the real twin lagoon experience in this site. After a long day of island hopping, we want back to Kubo sa Dagat tired and hungry. 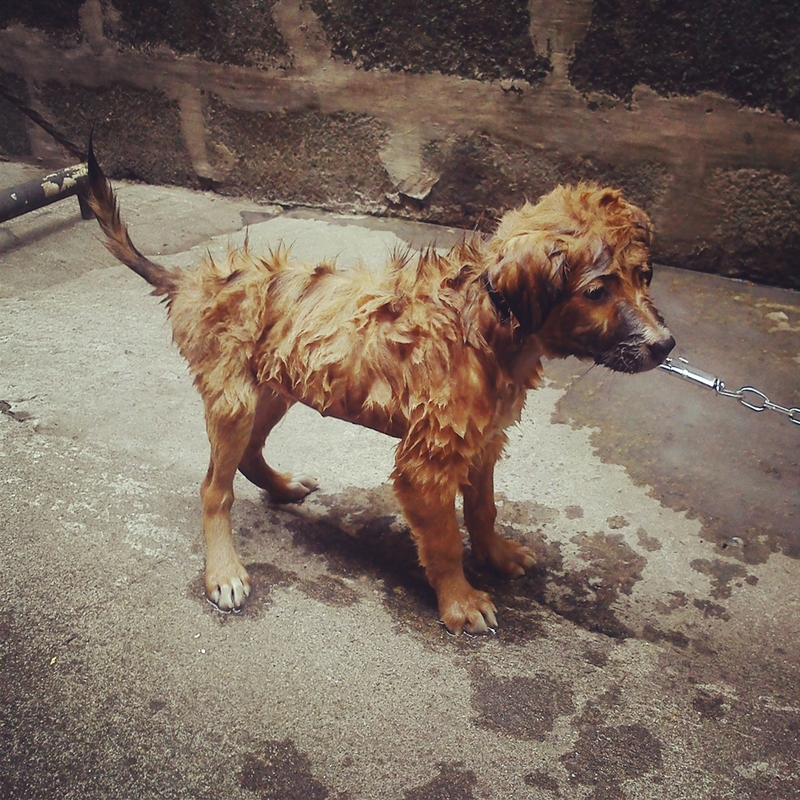 I took my most awaited bath and slept early after my longest island hopping experience.